A fire on the night of Aug. 27 gutted the Ramon’s Village resort in the San Pedro district of Belize. The resort is among the country’s best-know and a popular destination in one of the country’s primary tourist areas. The blaze razed 30 cabanas at the property, along with the office area, Pineapples Restaurant, the resort’s bar and gift shop and other resort offices, according to a statement on the company’s website. There were no reported injuries to guests, staff members, first responders or island residents. San Pedro firefighters and police officers battled the first alongside staff members, local citizens and resort and island guests, who manned fire hoses and formed bucket brigades to halt the blaze. “We cannot say thank you enough to all of the people who fought this fire and helped us save as much of Ramon's Village Resort as possible," said Ramon Nunez, the resort’s general manager. “You can be assured we are doing everything possible to ensure that our guests are taken care of as we begin assessing the damage." 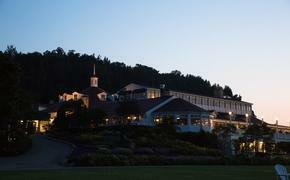 Richard Headrick, the resort’s owner, promised Thursday to rebuild the property. Current guests have been relocated to other San Pedro hotels and resorts. Reservations for the rest of August and September will be honored at sister properties near to Ramon's and the resort’s dive center, which remains functional and in operation. Guests with questions about existing reservations can call 800-624-4215 or email info@ramons.com.